It looks like Euro corrected its second ascending impulse. We think, today the price may form the third impulse. 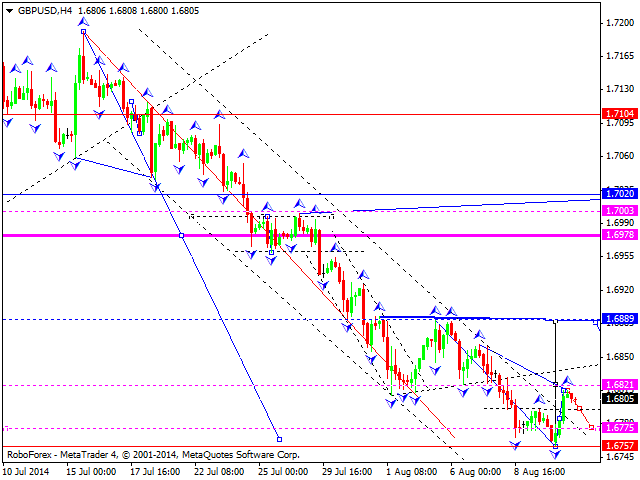 The target is at level of 1.3440; however, the pair may extend this wave. Later, in our opinion, the instrument may form fall down towards level of 1.3400 and, thus, start forming reversal pattern. 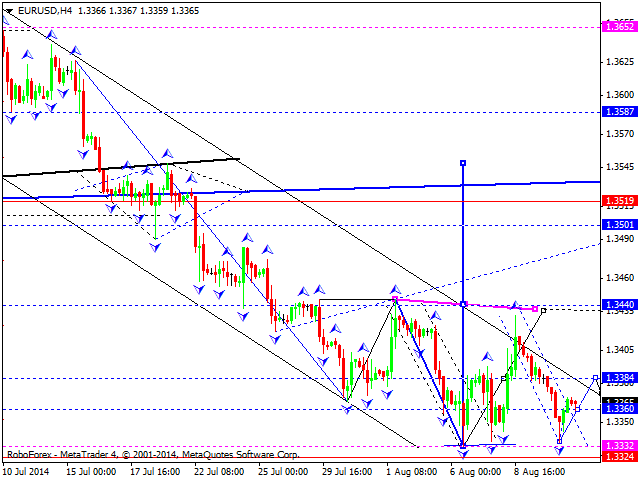 The first target of this pattern at level of 1.3550. Pound finished the first ascending impulse. We think, today the price may correct this impulse towards level of 1.6775. Later, in our opinion, the instrument may form another ascending impulse to break level of 1.6830 and then continue growing up to reach level of 1.6890. Franc corrected its second descending impulse. We think, today the price may form the third descending impulse. 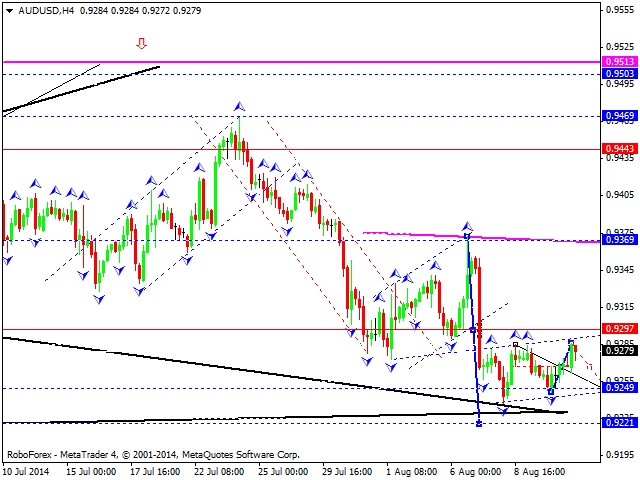 The target is at level of 0.9020; however, the pair may extend this wave. Later, in our opinion, the instrument may start a new correction to return to level of 0.9067 and then continue moving inside the downtrend. Yen is still being corrected. 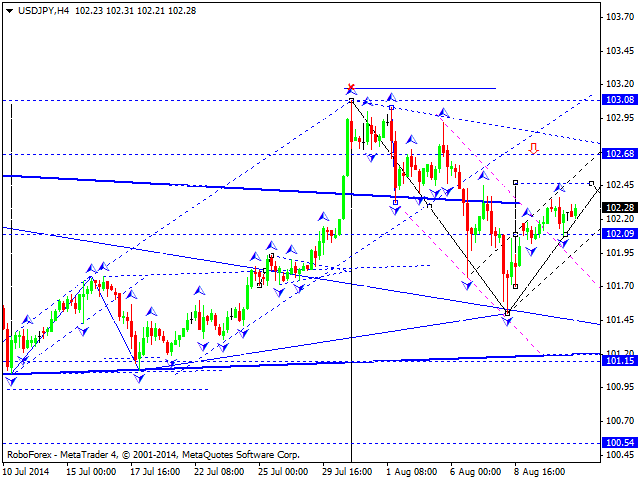 We think, today the price may move upwards to reach level of 102.65 (at most). After reaching it, the pair may start forming another descending structure within the downtrend with the target at level of 99.30. 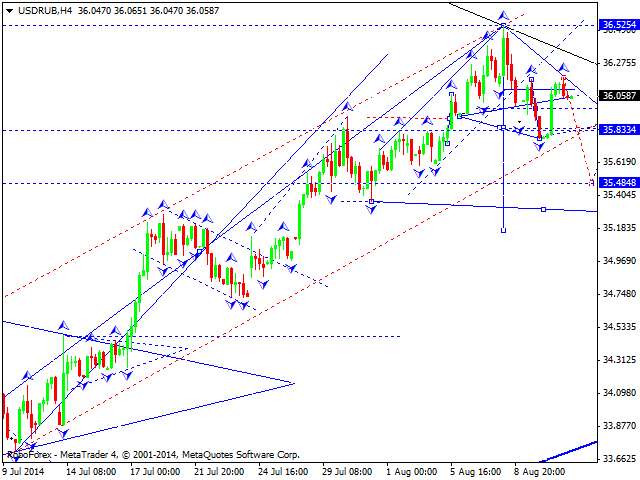 Australian Dollar is moving back towards level of 0.9297; the market is forming a bearish flag pattern. After reaching it, the pair may start forming another descending structure towards level of 0.9222. Later, in our opinion, the instrument may start growing up to reach the target at level of 0.9510. Ruble is still forming a descending structure. 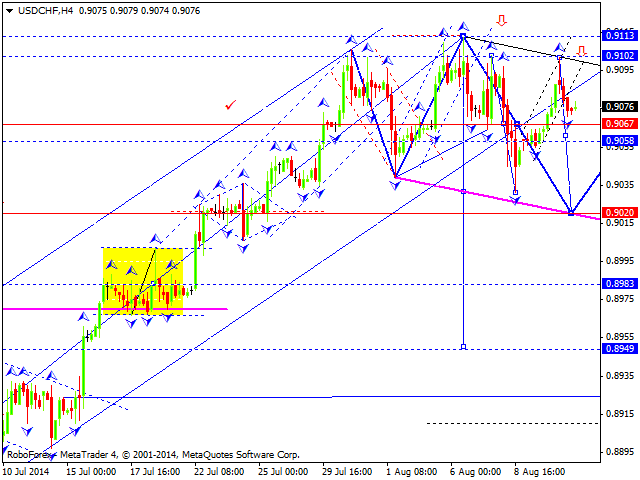 We think, today the price may reach level of 35.67 and then move upwards to return to level of 36.10. Later, in our opinion, the instrument may start forming another descending wave to reach level of 35.60. 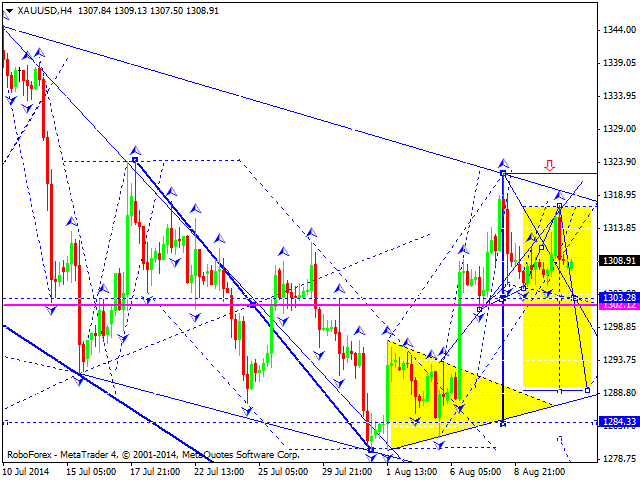 Gold continues moving downwards to break level of 1300. We think, today the price may form a descending wave to reach level of 1275 and then return to level of 1300. Later, in our opinion, the instrument may start falling down again towards level of 1255.